Climate experts say global warming could have serious impacts on California winegrowing, particularly in the East Bay. 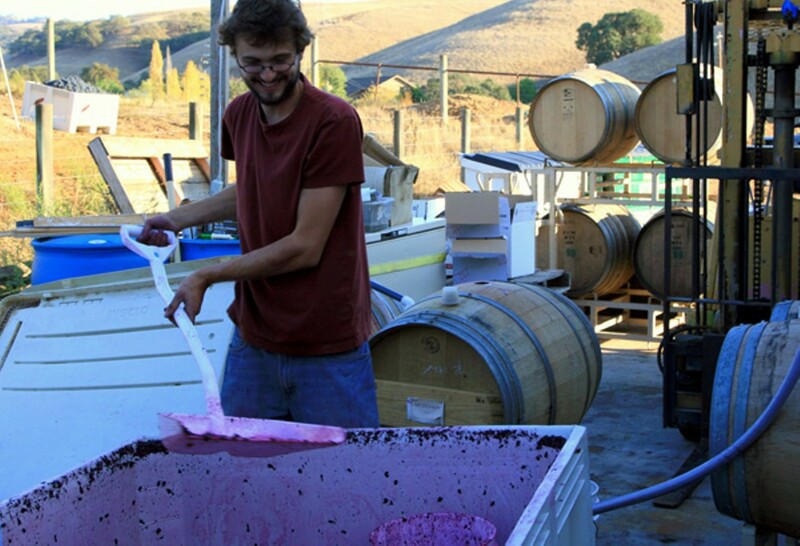 John Evan Marion is shaping his winemaking business around projected climate changes. Winemaker John Evan Marion is counting on a career of growing grapes and making wine in the East Bay's Livermore Valley. He's spent the past fifteen years learning the craft at his family's winery, Big White House Winery, and more recently with his own label, John Evan Cellars. But as the 28-year-old scouts for ideal vineyard locations and considers what grape varieties will be the best to grow in various microclimates, he's gambling with the future. Climate change is expected to unfurl noticeably throughout California's growing regions in the coming decades, altering rainfall patterns, creating unpredictable temperature dynamics, and making for permanently hotter weather. According to a study published in the June 30 issue of the journal Environmental Research Letters, average global temperatures will rise at least two degrees Fahrenheit by the year 2040 and have serious impacts on the capacity of certain regions in California to produce good wine. But the report, whose lead author is Noah Diffenbaugh, an assistant professor of environmental earth system science at Stanford University, also predicts that not all of the effects from global warming on the West Coast's wine industry will be negative. "There are regions that are cold-limited, like the Willamette Valley [in Oregon] that could see an increase in area suitable for growing wine grapes," Diffenbaugh said in an interview. However, on the downside, Diffenbaugh said, California's acreage of premium grape-growing land could be reduced by as much as 50 percent in just thirty years, forcing farmers to change what grapes they grow or pull their roots entirely and leave the area. Such impacts will hit first in regions that are already on the warm side. The southern half of the Central Valley, by all expert accounts, is one such place where just minor increases in temperature could push the region over the edge, making it altogether unsuitable for growing most grape varieties. The Livermore Valley is also among California's warmer growing regions, Diffenbaugh noted. As it is, the region is more favorable to heat-tolerant grapes like Petite Sirah and Sauvignon Blanc than it is to cold-adapted varieties such as Pinot Noir and Chardonnay. And a substantial increase in temperature could make growing the extremely popular, cold-adapted varieties virtually impossible in the region — especially on the eastern side of the valley, near the Altamont Pass, where the cooling influence of the ocean is minimal. Marion believes that climate change "will probably make a serious change in how we make wine" in the Livermore Valley. Yet he is optimistic that local winemakers will be able to adapt to the future and believes that California's winemakers could even capitalize off some level of warming. Already, Marion points out, many California wines have evolved — by choice of winemakers and demand of consumers — into high-alcohol fruit bombs compared to those traditionally produced in Europe, where lower alcohol levels have always dominated the industry. "Global warming will probably push that trend even further to make bigger, even more fruit-driven wines that people like to drink," Marion said. Another option, though far more costly and time-consuming, would be to swap out existing grape varieties for more heat-tolerant ones. Phil Wente, fourth generation winemaker at Livermore's Wente Vineyards, among the very oldest wineries in the region, notes that hundreds of cultivated grape varieties indigenous to the warmer latitudes of Europe, like in southern Italy, Spain, and Croatia, could be introduced to California's winemaking culture if rising temperatures become a serious problem. 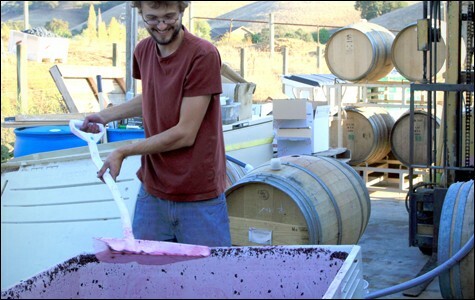 At Ruby Hill Winery, winemaker Chris Graves said that other heat-tolerant grapes already present in the state, like Zinfandel, Syrah, and Petite Sirah, and some Italian varieties, like Sangiovese, Barbera, and Aglianico, could give winemakers an edge — at least for a while — against warmer summers and falls. "Any of those regions in the Mediterranean that get those hot winds from Africa will have very ideal grapes," Graves said. "There's also the Douro [Valley in Portugal]. It gets scorching hot there and the grapes thrive." Grafting new varieties onto existing vines and waiting for them to produce grapes is a costly and time-consuming process, though, meaning several years without fruit before the altered vines resume production. It also relies on the new varieties proving adequate in their new environment, which they might not. "There are these obvious risks associated with replanting with a certain grape," Diffenbaugh said. "Adaptations that don't require replanting or moving will be the cheapest." Yet despite the expert predictions about the effects of global warming on winegrowing in California, Wente remains optimistic. "If we need them, we have lots of options to turn to for grapes that grow in those hotter areas [of southern Europe]," he said. "There are also a lot of regions along California's North Coast that haven't even been tapped because they've always been considered too foggy or too cold." Though projections of increasing temperatures are the rule among climate scientists, growers statewide have actually noticed a recent trend of cooling in coastal regions, like the Bay Area. Earl Ault has the benefit of more than two decades of record-keeping at hand, and as owner and winemaker at Cedar Mountain Winery, he said that harvest dates have become progressively later over the past ten years. Between 1988 and 1998, Ault picked his Chardonnay grapes — usually the first variety to ripen — between August 30 and September 1. But the Chardonnay harvest date has shifted further and further into September as the grapes take increasingly longer to develop necessary sugar levels. Last summer was among the coolest on record, and Ault's harvest was a full three weeks later than his historical average. And while Ault agrees that temperatures, on average, are climbing, he doubts that climate change will be a problem for most winemakers. "If it's just a couple of degrees [of warming], I'm not sure the grapes will notice," he said. "If we need to we'll just harvest earlier." But climate researchers disagree. In 2006, Diffenbaugh and his colleagues produced a report that took an extended look at the future of winemaking in America. In that analysis, they projected that by the year 2100 as much as 81 percent of the United States' best grape growing acreage could be too hot to produce certain varieties of wine grapes. Many winemakers already know the potentially devastating effects of higher temperatures. Last summer, for example, though overall a cool one, saw a short but crushing heat spell in August that scorched grapes across the state. As far north as Chico, growers lost as much as 60 percent of their crops in just several days of 100-degree temperatures. Such events could become increasingly common, according to forecasting by Diffenbaugh and other climate scientists. In his June report, Diffenbaugh and his colleagues predicted that parts of Northern California will experience up to ten additional days each summer hotter than 95 degrees by the year 2040. Still, Marion believes that many winemakers have the skills to successfully adapt to climate change. "Winemakers, as a profession, are well-equipped to deal with year-to-year variation and often have to do things slightly differently every season based on the weather," he said. Graves of Ruby Hill agreed, noting that simple vineyard innovations could help fight the effects of climate change. Allowing extra leaf foliage on the vines, he said, can shade grapes and protect against extreme heat, as can misting the fruit with sprinklers on hot days. "Good winemakers are adaptive," he said, though he recognizes that an unfavorable future is possible. "They'll be able to deal with changing conditions to some extent. And that'll give us wiggle room for a while, but eventually, if the warming continues, we might have to graft on new varietals or even stop making certain wines. Eventually, there's only so much you can do."